The Internship in Personal Financial Planning provides students an opportunity to gain practical experience with leading firms and companies covering a variety of financial planning job functions. The internship is available to UCLA Extension certificate students who have completed a minimum of five courses in the Certificate in Personal Financial Planning program. This internship is eligible for three months of credit toward CFP Board’s work experience requirement. 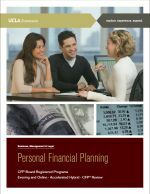 UCLA Extension students who are enrolled in the Personal Financial Planning Certificate and who have completed a minimum of five courses in their program. Students will be granted permission to enroll once all internship documents have been signed by sponsor, director and associate dean. 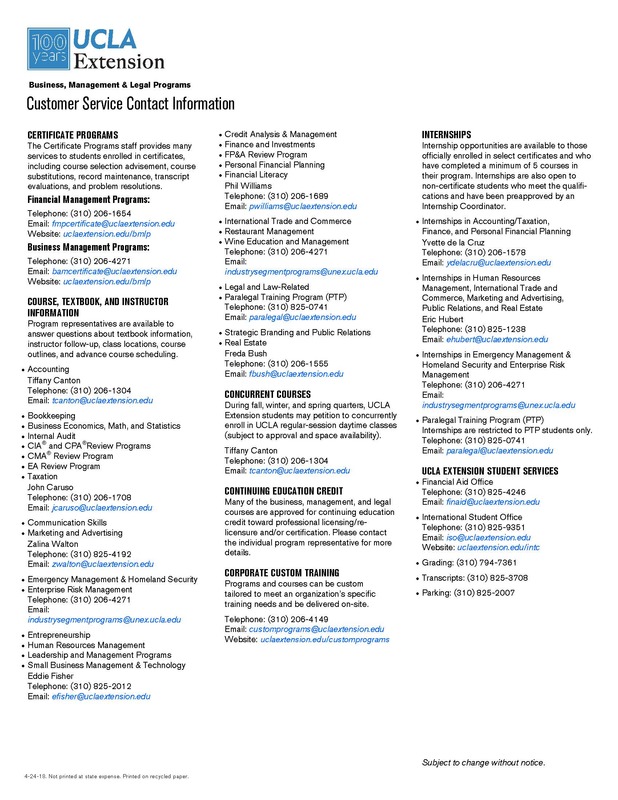 UCLA Extension does not provide placement or guarantee internship availability. 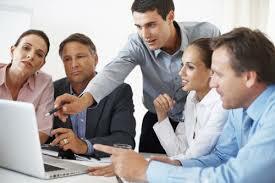 Students are responsible for securing a sponsor before enrolling in the internship. Enrollment is limited to the number of available internships. 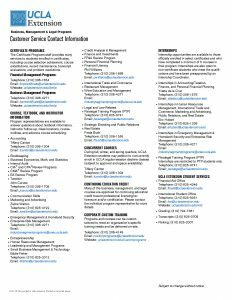 For assistance in completing the internship process, please contact your Certificate Advisor, Yvette De La Cruz at (310)206-1654 or bamcertificate@uclaextension.edu for an application and deadlines.